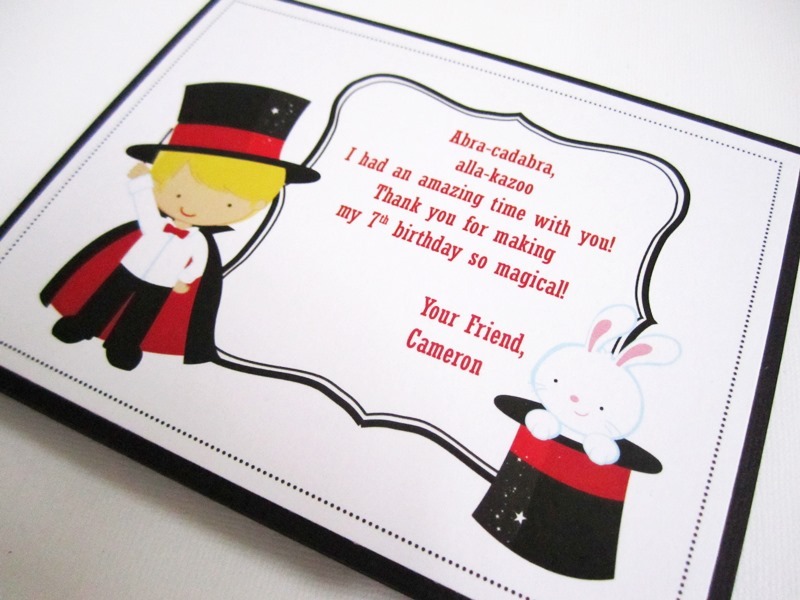 This is a set of 8 (Eight) Magic Show Thank You Cards. 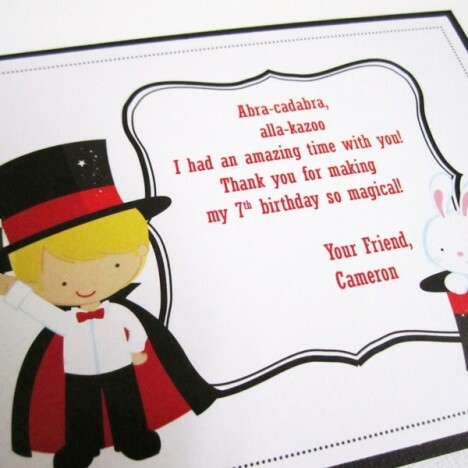 These thank you cards are personalized with your child’s name and age. 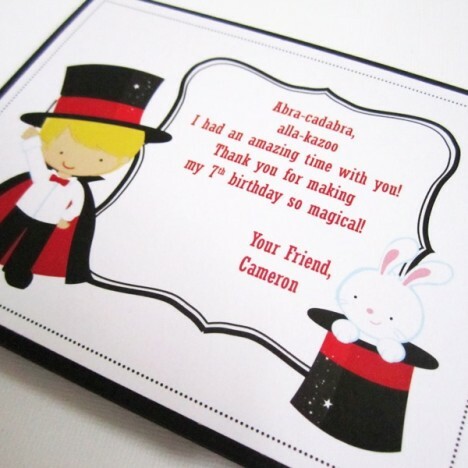 You can also select the Magician’s image, whether it’s a boy or a girl. 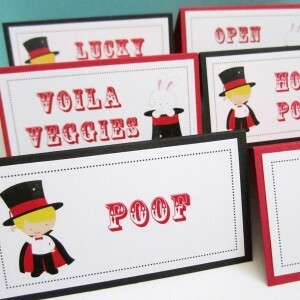 Furthermore, you can also select the Magician’s hair color: blonde, brunette or black. 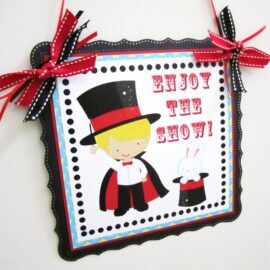 Magician Magic Show Party is a great theme for boys and girls. 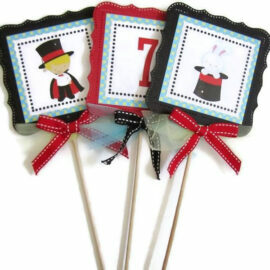 It’s a fun party where your guests will be entertainment by amazing tricks. 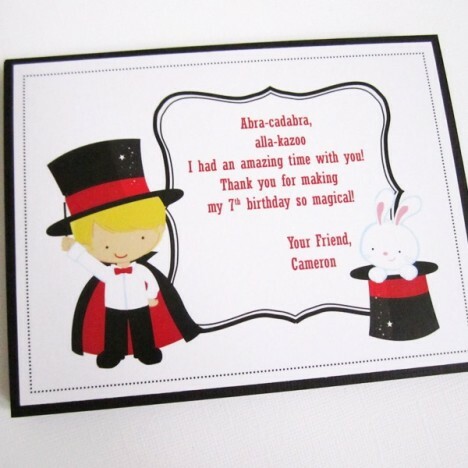 Shown here is a set of Magic Show thank you cards for a boy, and we certainly can design one with a girl’s image for you. 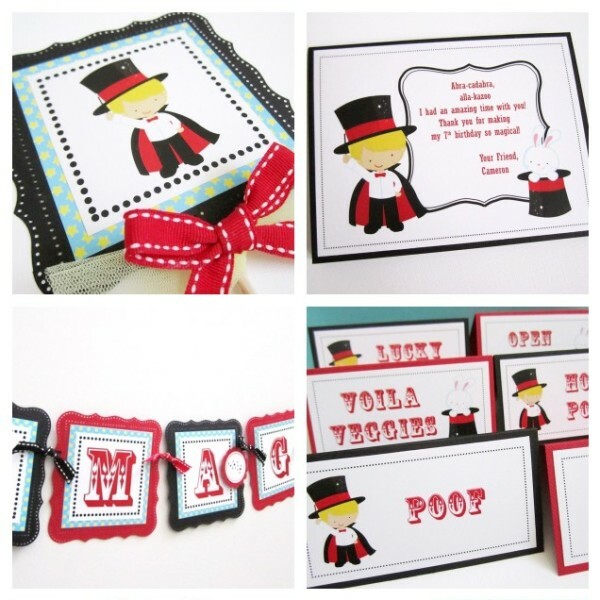 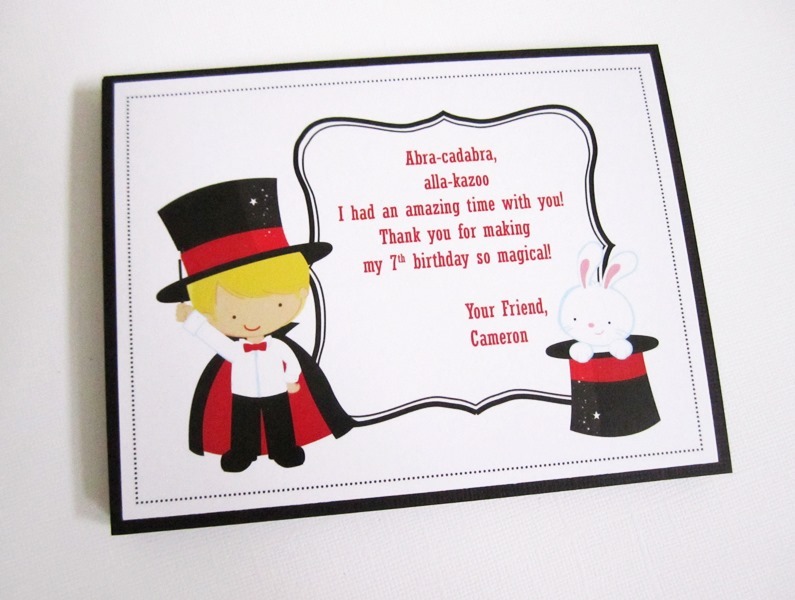 Each of these Magic Show thank you cards measures 5.5″ x 4.25″ and comes with a white envelope. 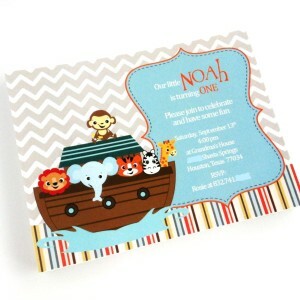 These are flat notecards. 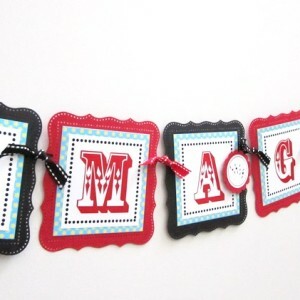 On billing details section, there is order notes field where you may let us know additional information. 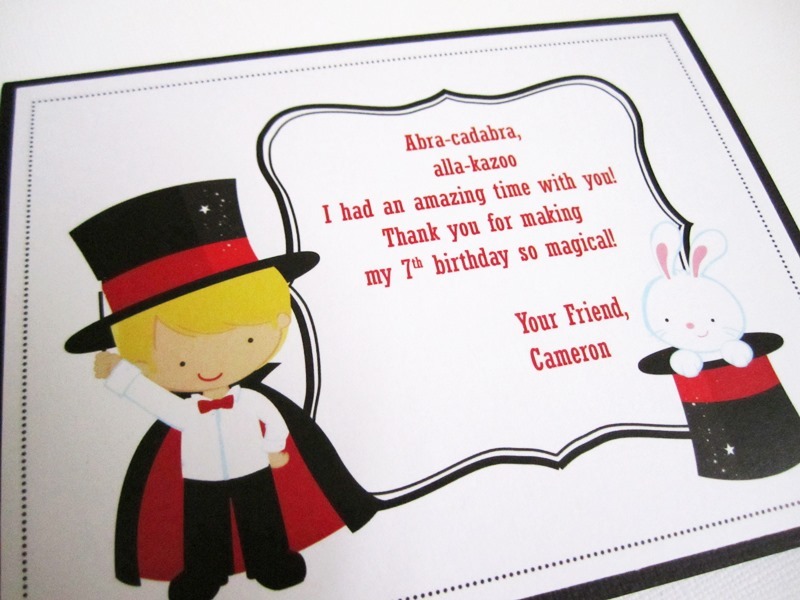 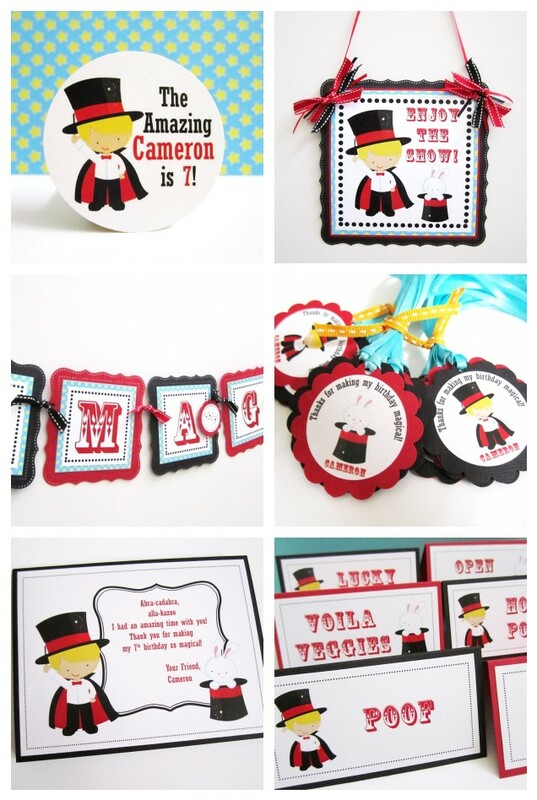 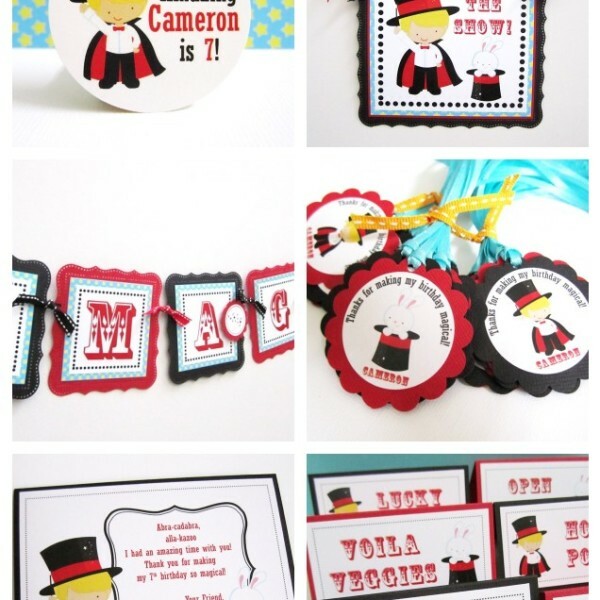 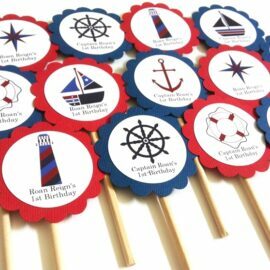 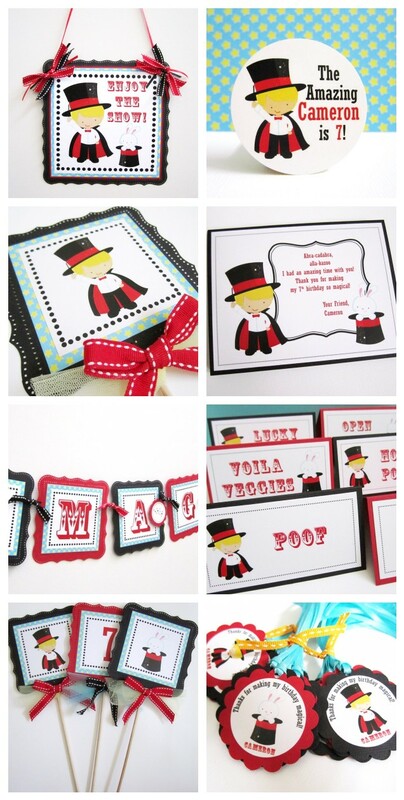 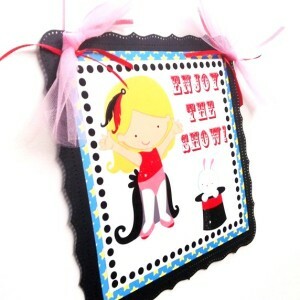 Are you looking for party decorations that compliment to these Magic Show Thank You Cards?